Yohan Barbarin received in 2002 the Diploma degree in physics and engineering Ecole Centrale Marseille, France. He received the Ph.D. degree from the Eindhoven University of Technology, Eindhoven, The Netherlands, in 2006. He was with the COBRA Research Institute and developed photonic integrated circuits. In 2007, he joined the Ultrafast Laser Physics Group at ETH Zurich, Switzerland, as a Researcher. 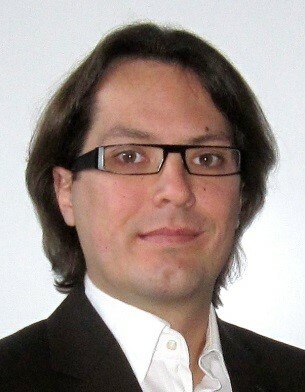 In 2011, he joined for 2 years Imec, Leuven, Belgium and worked on sub-32nm CMOS technology. Since 2013, he’s been working at CEA, Gramat, France on Critical Infrastructure Protection. He is currently involved in the FP7 projects CIPRNet and PREDICT.